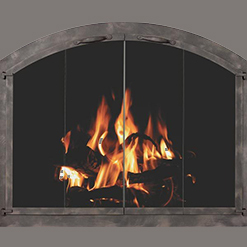 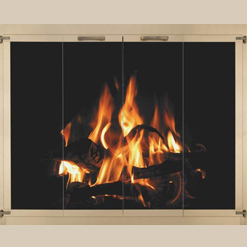 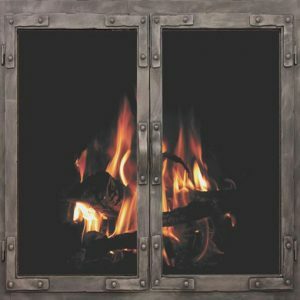 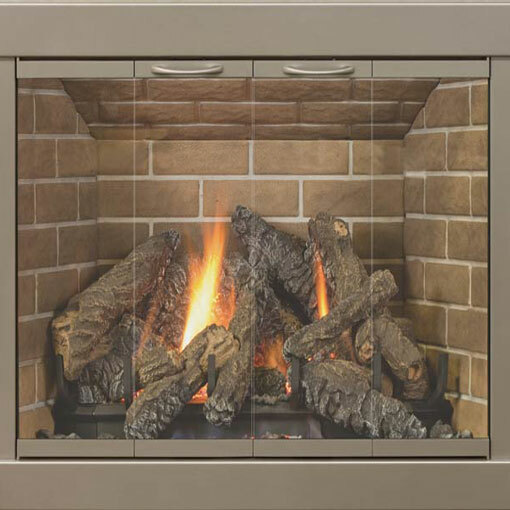 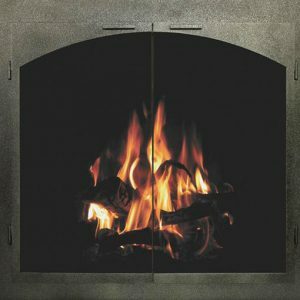 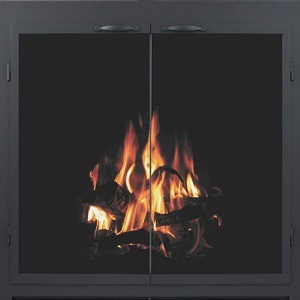 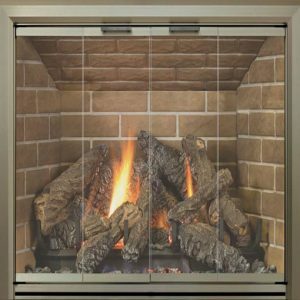 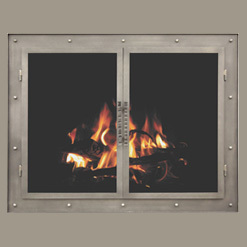 The Kingston Stock is a standard fireplace door with a 3″ frame width, allowing for good fit on a wide range of fireplaces. 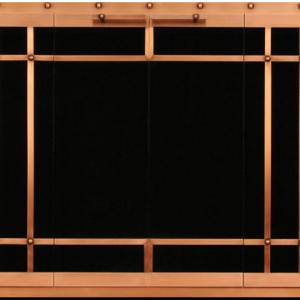 Design features include hidden, recessed hinges which allow the doors to fit under/inside the main frame, and special Kingston handles to finish off the look. 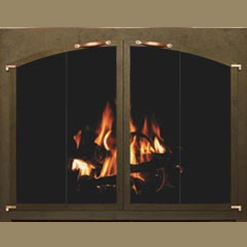 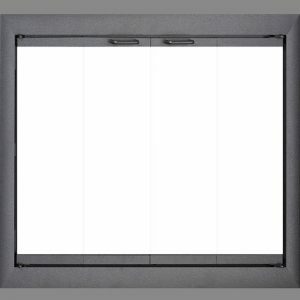 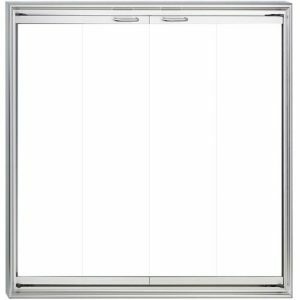 Choose from 16 Powder Coat and 7 Premium finishes, Clear, Bronze, or Grey glass color, and Bifold doors. 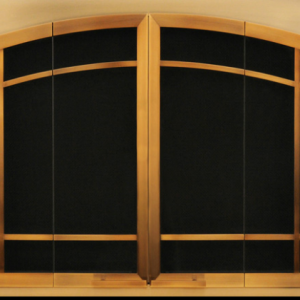 Curtain Rod w/ Hanging Mesh is optional.